Don’t let space restrictions dictate what you can create. 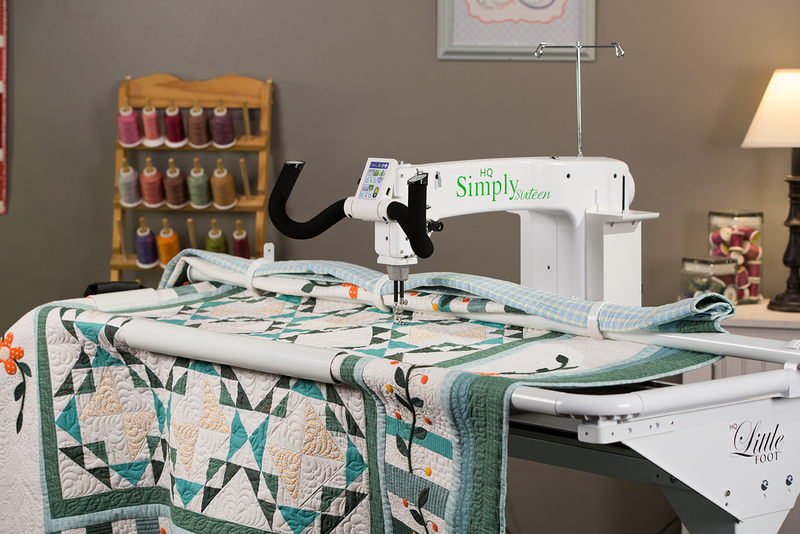 The HQ Simply Sixteen combined with Little Foot Frame system enables any quilter, beginner to advanced, to finish any size quilt without the space requirements of a conventional frame system. 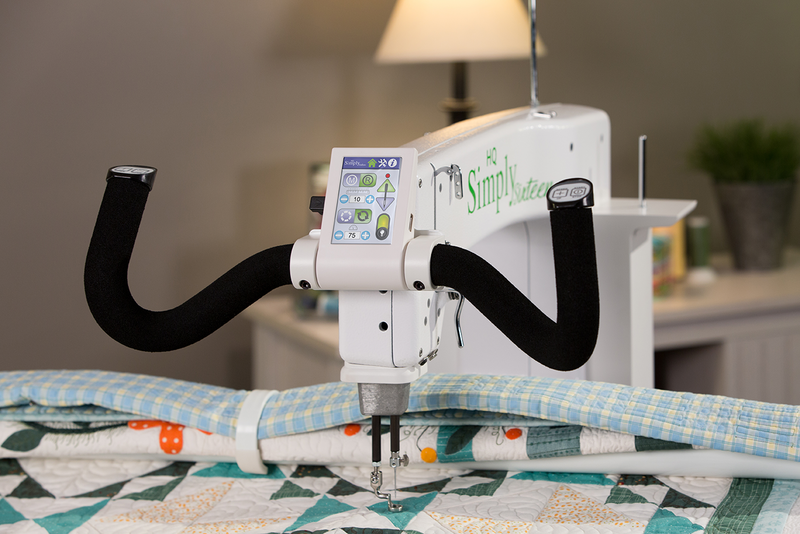 Requiring a little over five feet of space, the HQ Simply Sixteen with Little foot frame allows you to quilt standing up at a frame when space is at a premium. 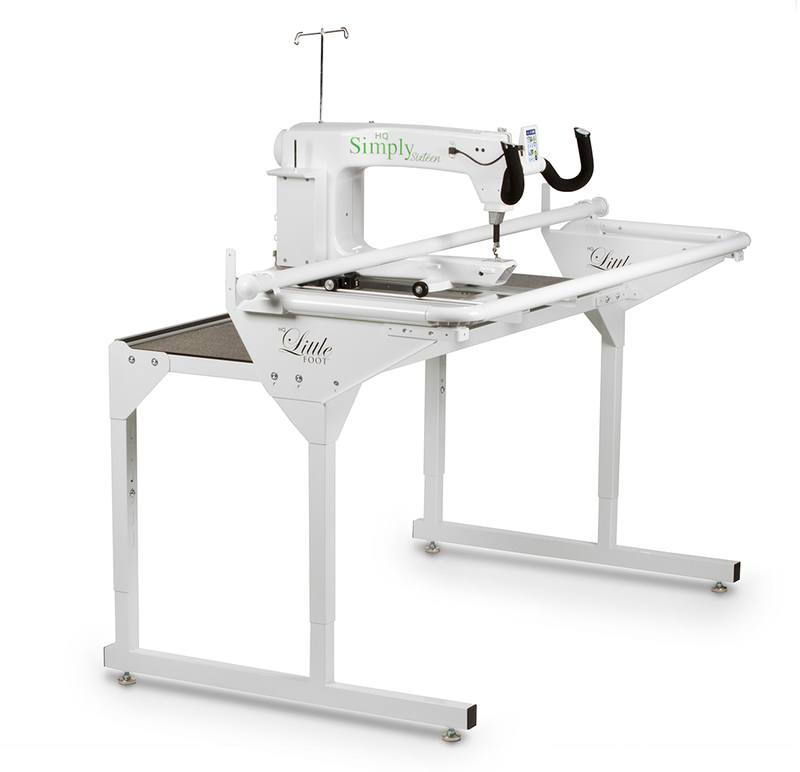 With 16in of throat space, two modes of stitch regulation, a unique hoop framing system and innovative quilt clamps this newest member of the Handi Quilter family is the machine quilters are looking for. 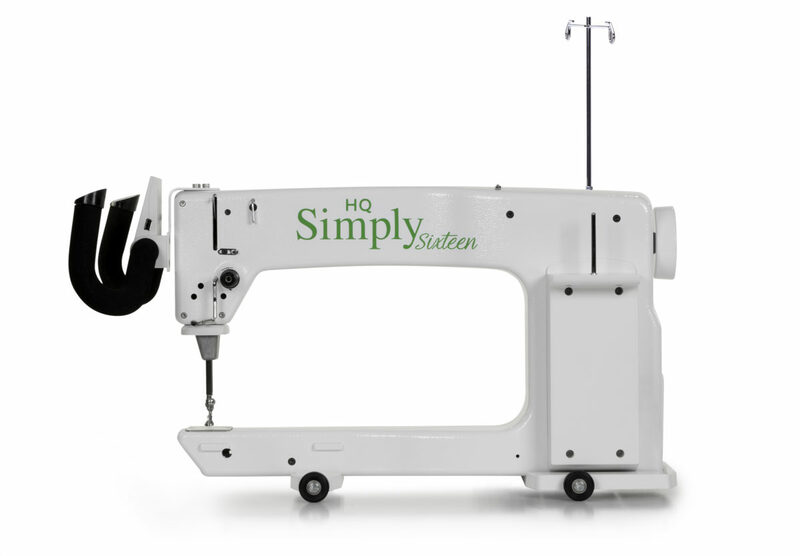 I love my simply sixteen machine. Am still learning, but I’m enjoying it very much. Looking forward to completing my first quilt from start to finish. Thank you HQ.